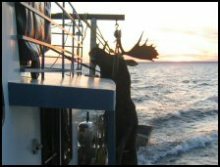 Nighthawk Charters offers our clientele fall moose hunting opportunities. The charter vessel Nighthawk is our portable marine hunting camp while out on Lake Nipigon. We anchor the mothership and use our runabouts to get to the moose hunting grounds. Each day we return to a home cooked meal and hot shower aboard the Nighthawk. 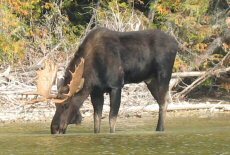 Due to the lack of road access to many areas of Lake Nipigon we can provide a secluded hunt in good moose range. 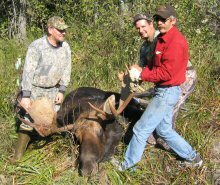 Typically we hunt prime moose habitats; river and stream watersheds and areas of the boreal forest that are in forest reclamation due to naturally occurring wildfires. These ecosystems include sufficient cover and nutritious young vegetation necessary for the monarch of the boreal regime. 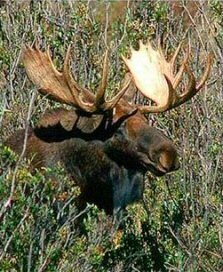 Our moose hunting operations are based in MWU (moose management unit) 15B, which has one of the highest moose densities in the province of Ontario. Being a recognized tourist outfitter, we can offer our clients two bull gun tags or four bull archery tags. We advise resident customers to apply for an adult tag in 15B for the moose tag draw system. Non-resident hunters must use tags that are provided by the outfitter. Since Party hunting is allowed in Ontario, more than one hunter can hunt on one adult validation tag. Due to the dense foliage cover of the boreal forest we use tree stands and calling to bring moose within range for hunters. 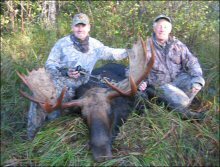 Our experienced moose hunting guide, Paul Bolduc is an accomplished moose caller. Each day Paul takes our hunters to the strategically located stands, and then using a series of moose calls he attempts to lure a trophy bull moose within range. 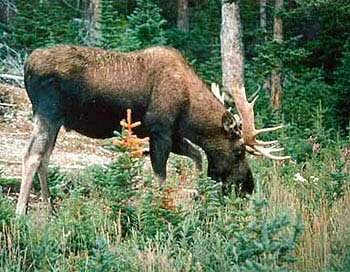 Success in the field is based upon a certain amount of stealth and patience by the hunter as you invade the quiet and wary world of the bull moose. We take great pride in looking after your harvested moose. We field dress harvested moose and have the necessary equipment to transport your moose from the kill site back to the Nighthawk, where we can suspend the moose to aid the cooling process to protect the meat. Butchering, processing and freezing of your game can be arranged on the mainland upon return to our base. 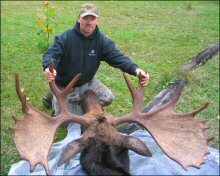 You may e-mail us at tcarroll@xplornet.com, or call us, 1(807)885-3171 for moose hunting rates and available dates.